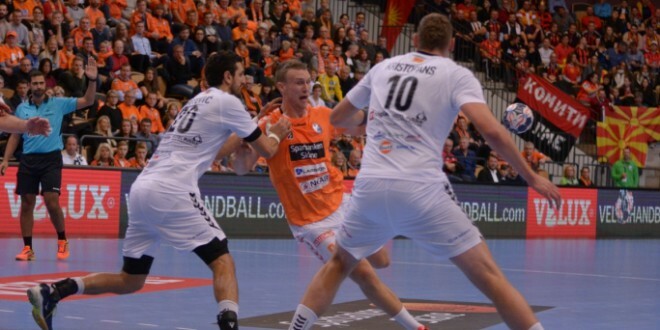 European champion Vardar continued the series of good games in the Champions League and registered a new win, this time in Sweden beat Kristianstad with 23-26 (10-15). Vardar allowed the home team to take advantage of the first few minutes of the match when they were leading 5-3, so then to take the lead in their hands and make a turn and get an advantage of 6-7, which by the end of the first part increased to 10-15. In the second part, Vardar kept the result under control by having a 4-5 goal advantage, and at one point the advantage was 19-25. Guided by Arpad Sterbik, who recorded 17 defeats, Raul Gonzalez's handball team won the points and retained the first place in the group leading straight into the quarterfinals. Vardar's women's team far more difficult than expectations with 30-27 rejoiced over Larvik, a victory that guarantees their participation in the next phase of the competition. The triumph in Norway in the duel played two weeks ago, out of a convincing 12-goal difference lowered the guard of our champions who in Jane Sandanski underestimated the opponent. Andrea Penezic with 7 goals was the most effective in the red black team, Dragana Cvijic added 5, Lejno had 20 saves. In the next round, Vardar is visiting FTC.